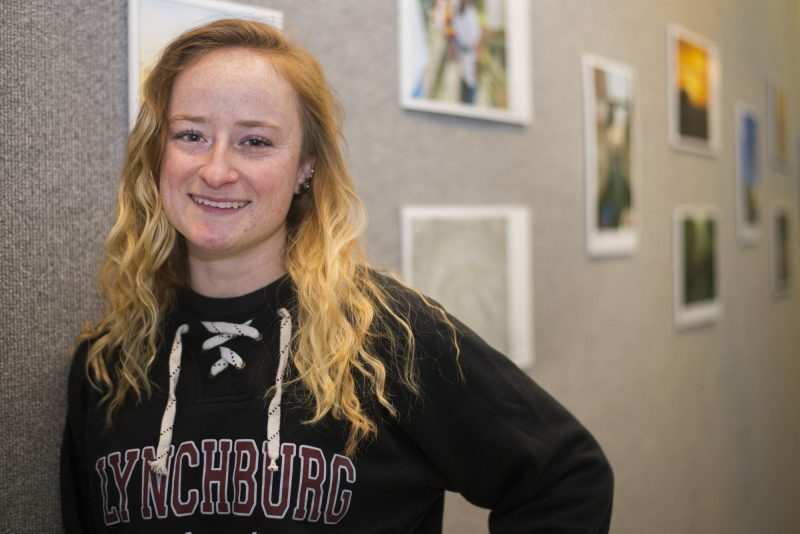 University of Lynchburg graphic design student Amanda George ’17 won an American Advertising Award (ADDY) on March 4 in Roanoke, Virginia at the Western Virginia Advertising Awards gala. This is the second year in a row that Amanda has won an ADDY. This year’s gala was themed “Ads Against Humanity,” a play off of the popular party game, Cards Against Humanity. Marketing professionals from around the region gathered to socialize, network, and view contest entries. Awards were given to students and professionals. Last year, Amanda won an ADDY for a photography campaign about mental illness. 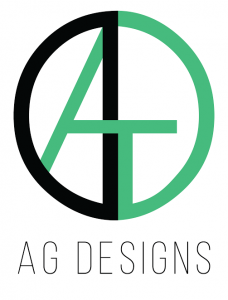 In 2017, she entered her the logo for AG Designs. The logo acts as Amanda’s “personal branding,” combining her initials “AG” and “Designs” into a single, cohesive symbol. Amanda also mentioned that winning an ADDY has been the greatest accomplishment of her artistic career thus far. As a senior, Amanda is applying to graduate school and hopes to pursue a master’s degree in business with an emphasis in art direction.